In 2014, as a service to industry, Clinical Professionals developed a Training Academy for Life Science graduates for entry-level roles, entitled “First to Industry (Clinical Trials)”. This training course brings graduates into entry level roles within the clinical research industry and as it progresses will develop our leaders of the future in roles such as Clinical Study Manager, Regulatory Affairs Manager, PV Manager, and so on. This is a unique service offering and will begin to assist in the unmet training needs of the Life Sciences Industry. The First to Industry course is designed around 10 days of in-house training, composed of 20 modules, interview and CV practice and development. There is no cost to the candidate, since Clinical Professionals pays for the course by placing the candidate within industry. As an Employer Champion, Clinical Professionals and the Science Council are working together to further develop these competences in order to specifically tailor them to these candidates and the Clinical Research industry. A module on the benefits of professional registration with the Science Council is also included in the training, as are details of the different levels of professional registration open to the candidates depending on role and experience. These registrations are determined by competency frameworks specifically designed by the Science Council. This brings benefit to both the candidates and the employers, since through this project, structured continuing professional development can be pursued by the candidate, allowing guided and supervised growth of the individual in the workplace. This can allow the candidate and the employer to work towards goals for mutual benefit. Clinical Professionals has selected over 70 graduates so far to attend their Academy; training and placing them in a wide variety of entry level roles and employers, including blue chip pharmaceutical companies, biotech, medical devices, universities and the NHS. Their aim is to have trained and placed over 170 graduates by the end of 2017. In addition, the Academy presents dedicated courses for Medical Scientific Liaison candidates as well as supporting bench scientists into their first roles. 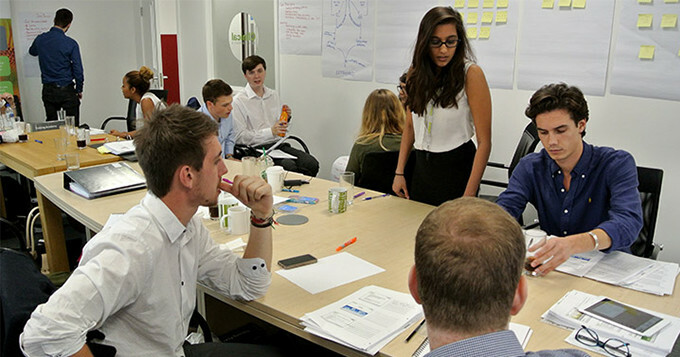 This unique and cooperative endeavour is proving popular with both candidates and employers. Coupled with the collaboration with the Science Council, the Clinical Professionals Academy offers a novel route into the Clinical Research industry, with managerial support and continuing professional development at every step of the process. If you would like more information about the Clinical Professionals Training Academy please email academyteam@clinicalprofessionals.co.uk, alternatively you can contact the Academy Team on 0118 959 4990.